If you’re familiar the benefits of Vitamin D3, you’ll know that’s more than just a vitamin, it’s a hormone and it does a hell of a lot for your testosterone levels. Not only that, it’s also great for bone health, teeth and your immune system. It even been seen in recent studies to help reduce muscle soreness. And now a recent study  the wonder vitamin has discovered there’s another benefit to add to that long list of features: Improving your Heart Health. The Leeds Teaching Hospitals team in the UK have come across evidence that links long term supplementation of Vitamin D3, to the overall improvement of heart function. The study itself, recently published in the Journal of the American College of Cardiology, consisted of 163 Heart Failure patients split into two groups, one supplementing 4000 IUs (100mcg) of Vitamin D3 and another on a placebo. The results on the Vitamin D3 group were described as “stunning” by the team. The Leeds Teaching Hospital Team were looking at how the vitamin affected Ejection Fraction (how much blood is pumped out of the heart’s chambers with each beat). The average person has an ejection fraction of around 60 – 70%, however, with heart failure patients the output is a lot weaker at around 25%. The study ran for a year, and the changes in the Vitamin D3 group were significant – the average ejection fraction rose from 26% to 34%. A whopping 8% increase with reports that “every cell in the body” responds to the vitamin. 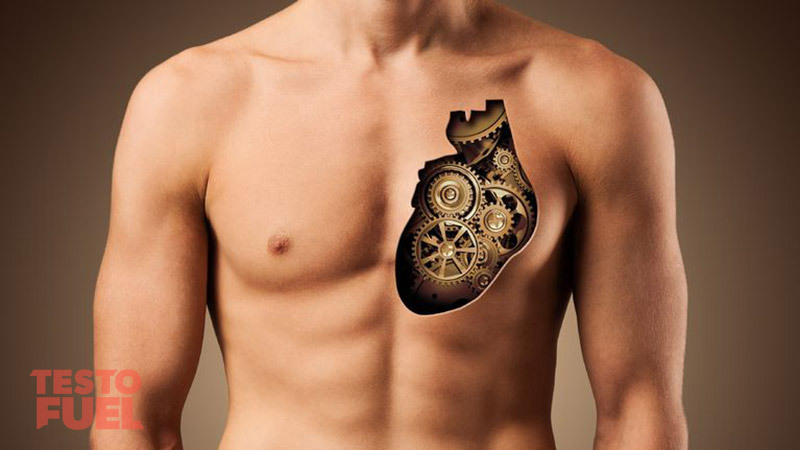 Patients’ hearts were also reported to be getting slightly smaller too, a positive sign that their organs are becoming more efficient and stronger pound for pound. 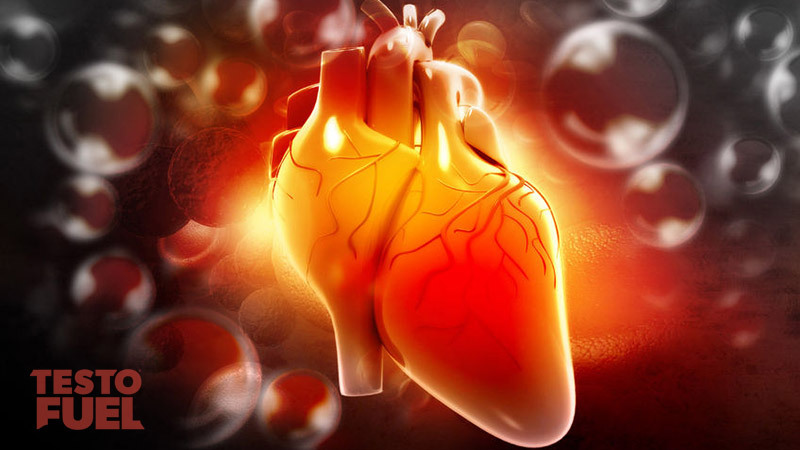 Professionals are saying this is one of the best discoveries for heart health in the last 15 years. Not only does Vitamin D3 present no side effects, it also costs hospitals a lot less than what they would spend on other treatments to achieve similar results. The next step now is to carry out a similar study over a lot longer period of time to gauge the full extent of the benefits associated with the vitamin and how it can be further used in treatments. Although you may feel like you’re getting enough Vitamin D3 in your diet, chances are that you aren’t. Studies have shown that an estimated 1 billion people in the world are Vitamin D deficient , which can have a serious impact on your testosterone levels. The best natural source of the nutrient by far is natural sunlight – absorbed via our skin, our bodies convert the rays into the hormone. However, due to modern living we don’t spend as much time outside as we need to get the full effects – especially if you’re an office worker. Dairy products like milk and cheese claim to offer Vitmain D, but this is D2, a synthetic equivalent that is put into these foods. This is a poor alternative that is not absorbed effectively by our bodies and doesn’t offer the same benefits. Organic products like eggs are a better option. For a good, reliable source of Vitamin D3, the better option is TestoFuel. With a 5000 IU dosage of the nutrient per daily serving, TestoFuel supplies your body with enough of the nutrient to provide all the benefits associated with the vitamin. Not to mention all the other ingredients it contains that help boost testosterone, recovery and muscle gains. Witte KK, Byrom R, Gierula J, et al. Effects of Vitamin D on Cardiac Function in Patients With Chronic HF: The VINDICATE Study. J Am Coll Cardiol. 2016;():. doi:10.1016/j.jacc.2016.03.508. Hollick MF, Chen TC. Vitamin D deficiency a worldwide problem with health consequences. Am J Clin Nutr. 2008;87:10805–68.